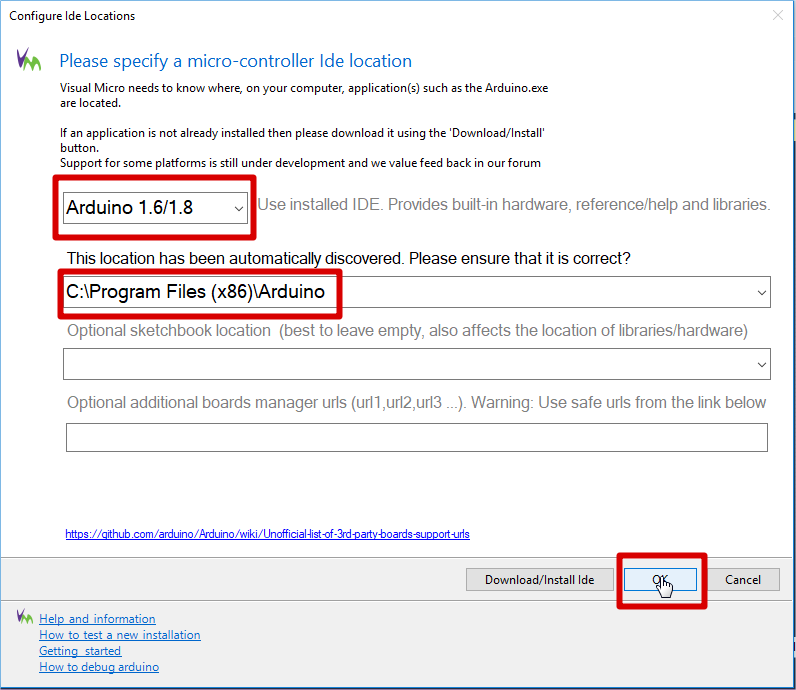 Why use Visual Micro instead of the “standard” Arduino IDE? 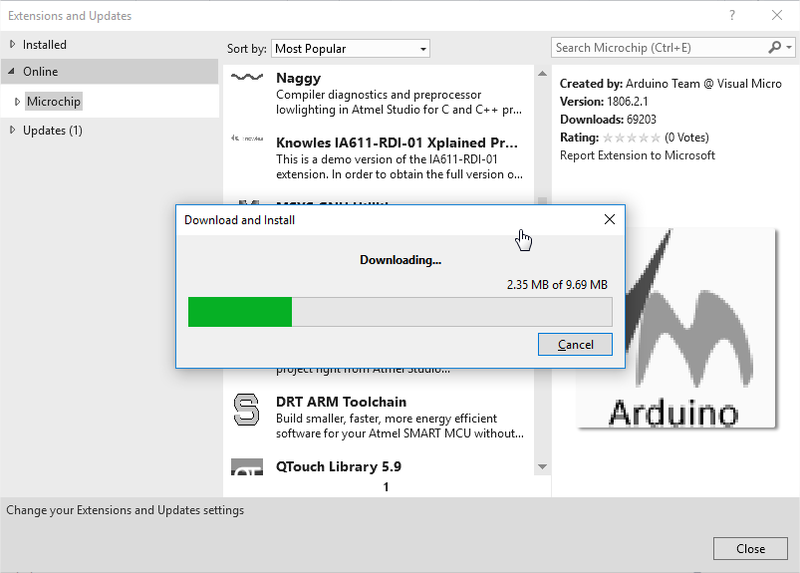 The standard Arduino IDE (https://www.arduino.cc/en/Main/Software) (Integrated Development Environment) is quite good: it comes for free, it is developed by the “Arduino” company and, of course, it is the first IDE software you will ever download to start writing code and uploading it to your Arduino board! 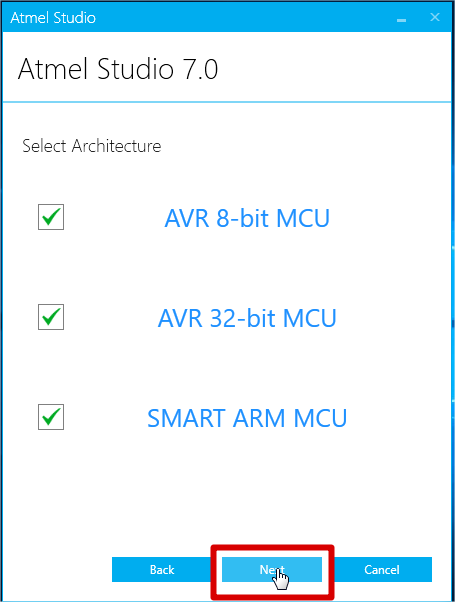 Visual Micro is an extension for Atmel Studio that allows any Arduino project to be developed, compiled, and then uploaded to any Arduino board. 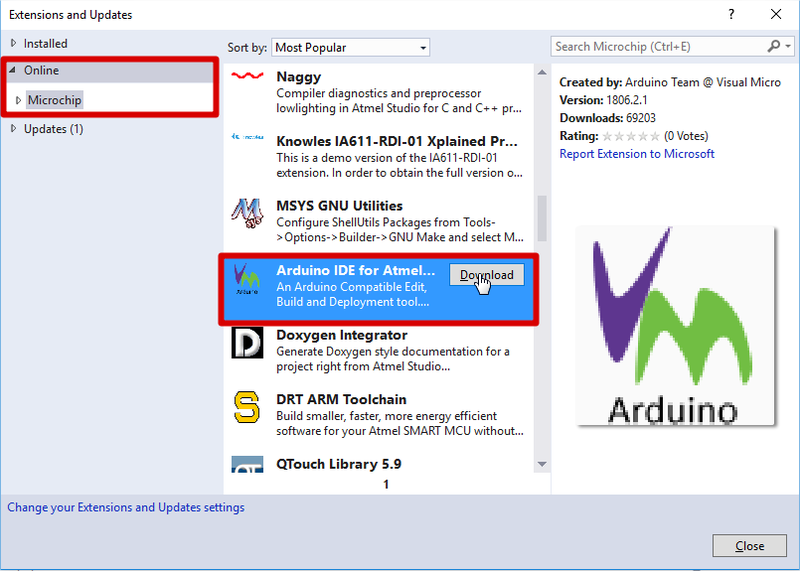 It is fully compatible with the Arduino development environment and uses the same libraries. 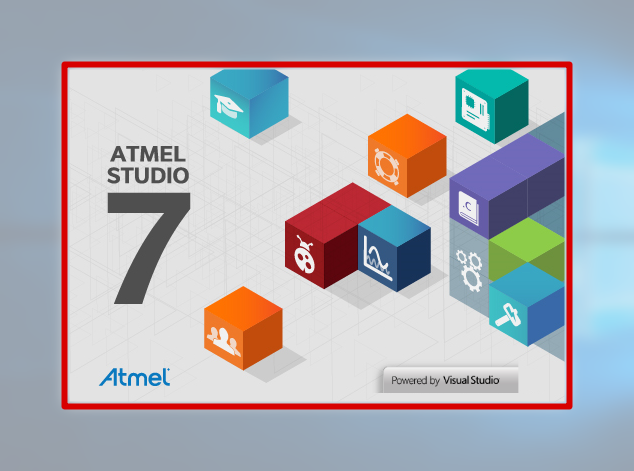 The difference lies in Visual Micro's user interface which provides an advanced and professional development environment. 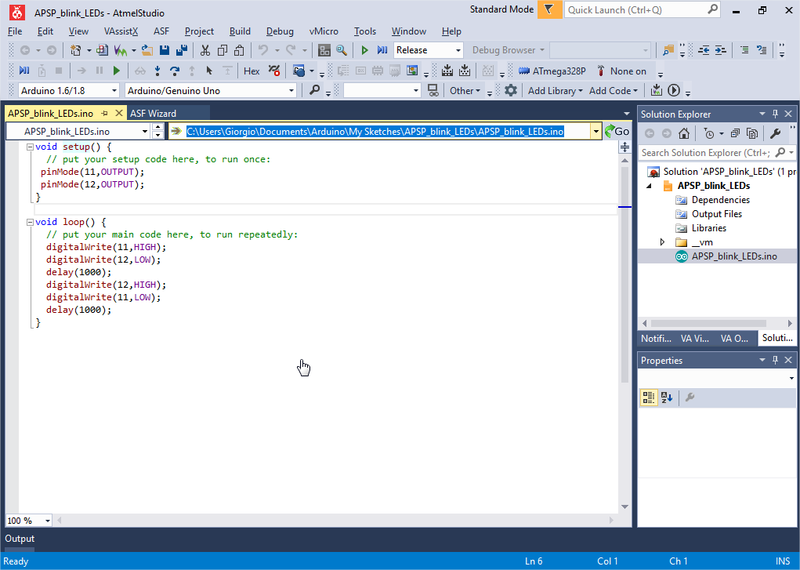 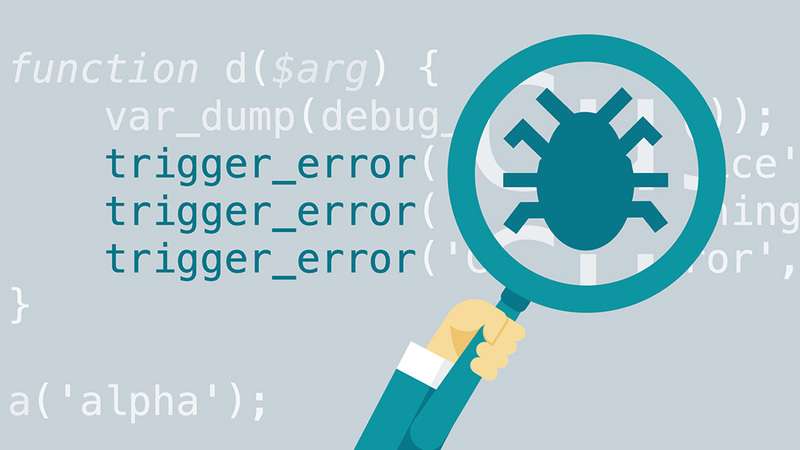 One of the main advantages is the ability to set up and manage breakpoints and / or monitor variable values to easily debug your code! 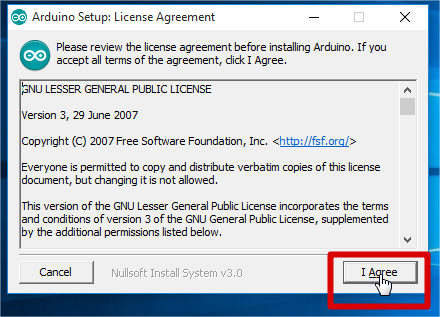 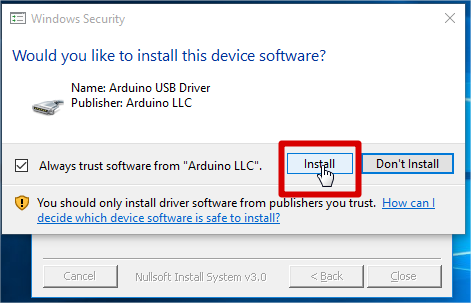 Even if we are not going to use it I suggest to install the latest standard Arduino IDE available from www.arduino.cc/en/Main/Software. The main reason is to be sure to have at least one properly working IDE on our PC. 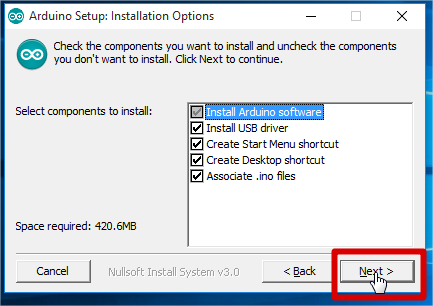 Once installation is complete, you can run the Arduino IDE from its desktop icon. 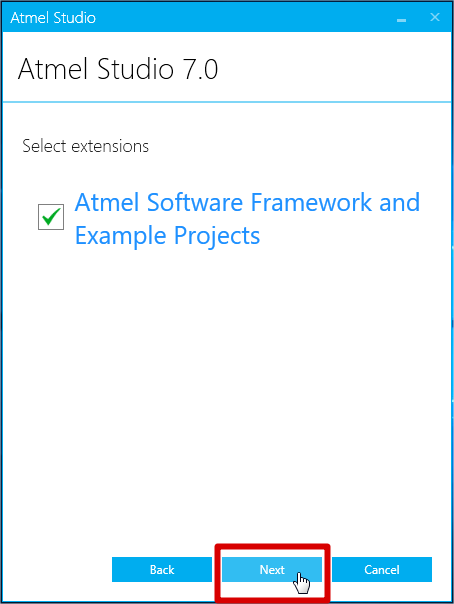 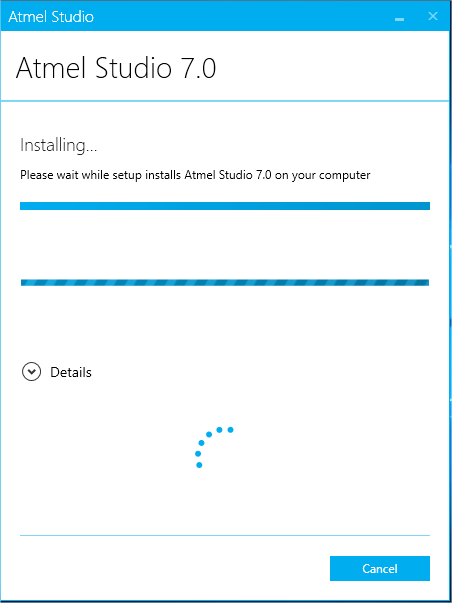 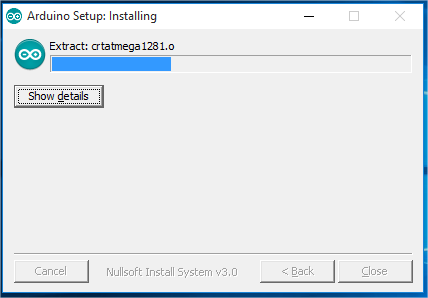 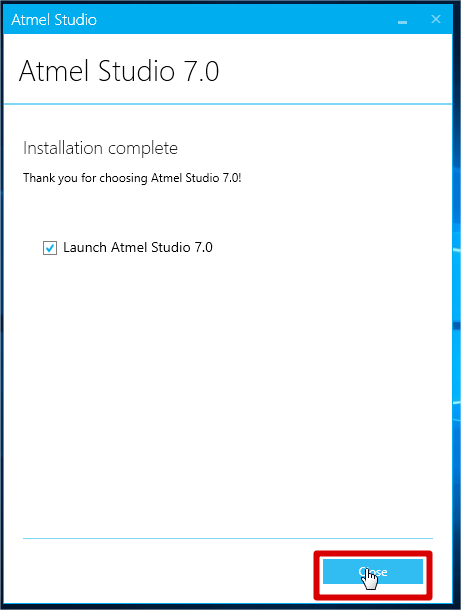 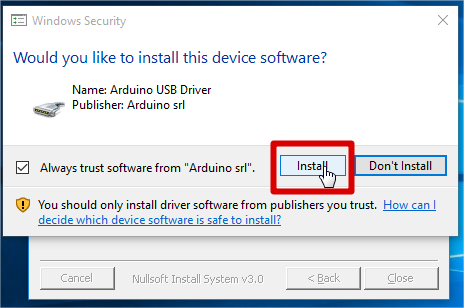 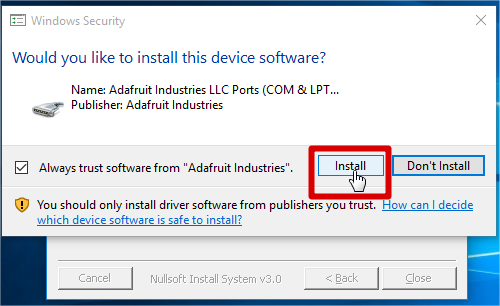 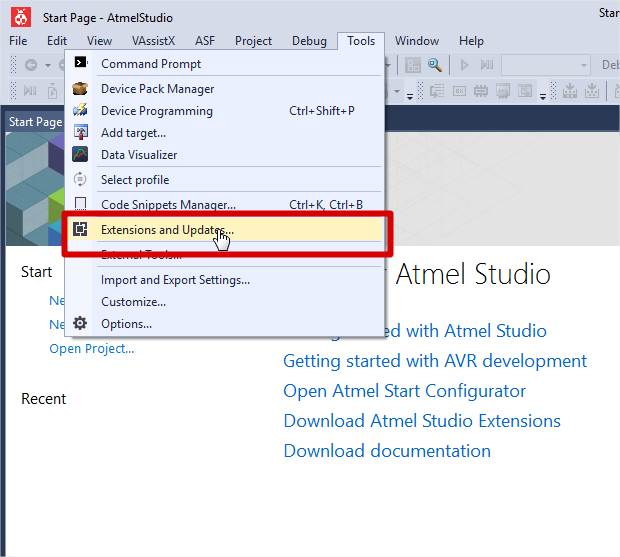 The installer will perform a system validation in order to check that the minimum requirements for Atmel Studio are met. 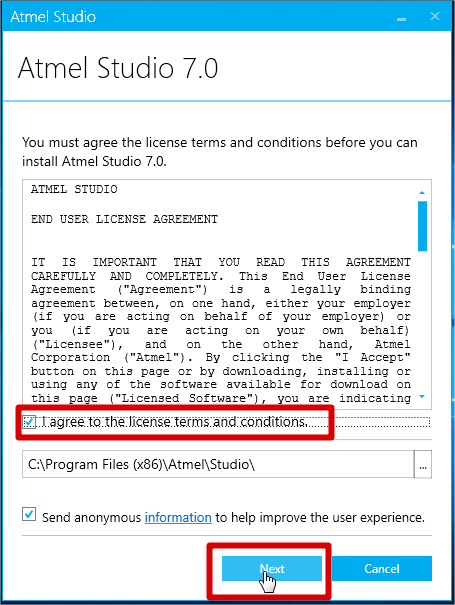 Allow various Software from various publishers and then you’re done! 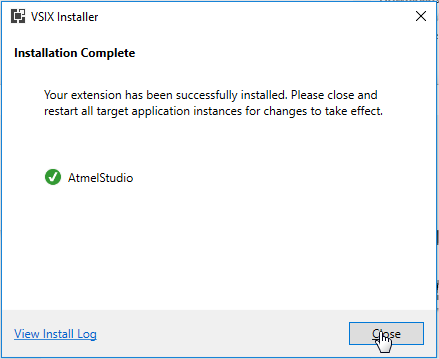 At the end the installation is complete! 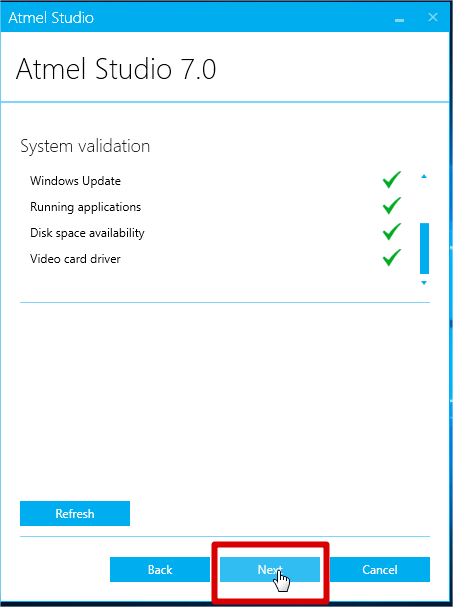 Just click on Restart Now button in order for the changes to take effect. 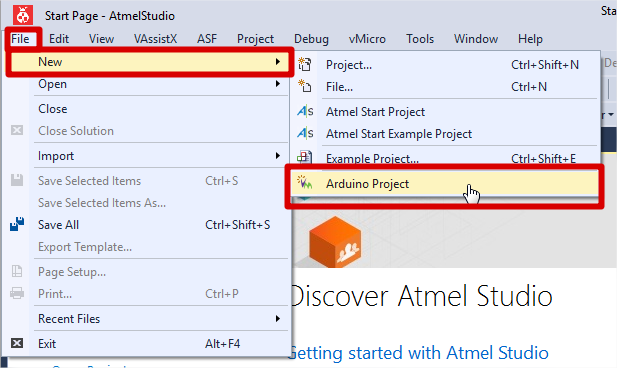 You are now ready to start coding your Arduino with a much more versatile environment! 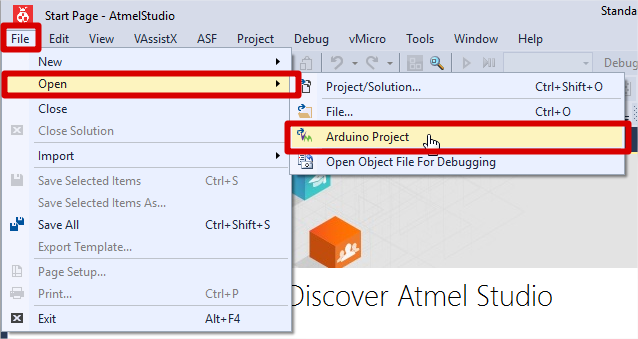 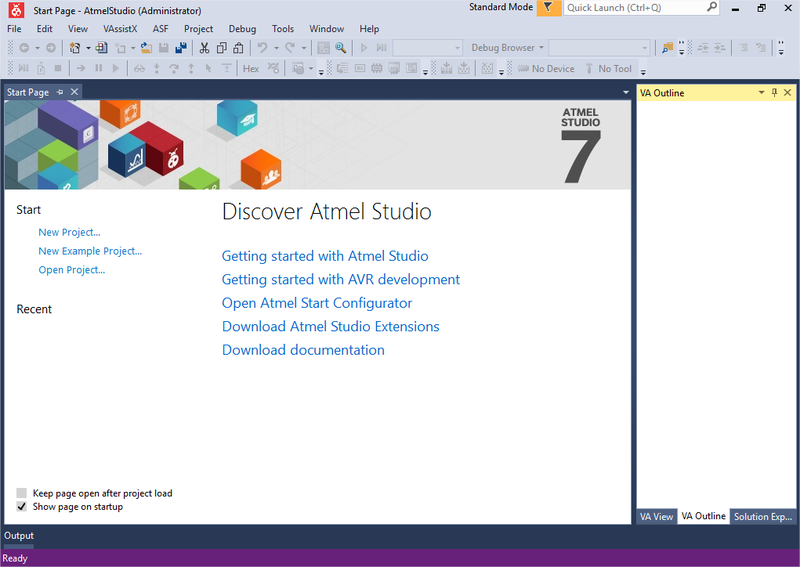 To start using your new environment, you can open an existing Arduino sketch (.ino file) or start a new blank project. 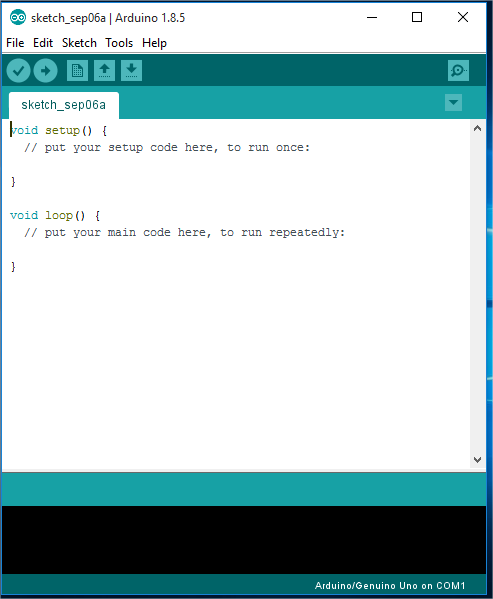 Let’s start opening a very simple sketch: the APSP_blink_LEDs code available from the Proto Shield Plus sample sketches (Click here to download the sample sketches). 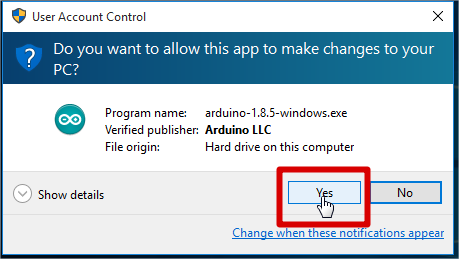 Of course you can use the “standard” Blink example provided with the Arduino IDE installation. You will notice that the folder APSP_blink_LEDs folder contains just the APSP_blink_LEDs.ino file. 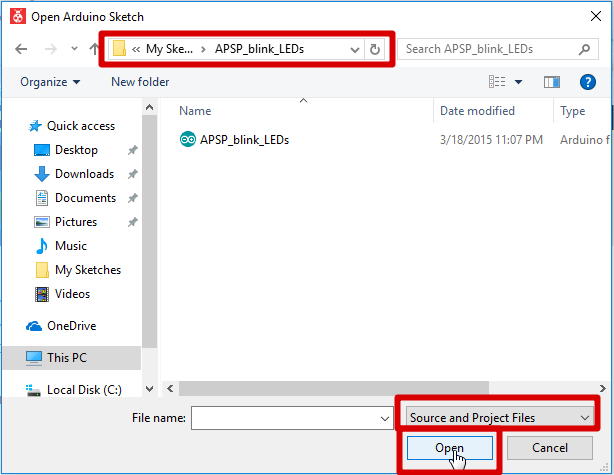 Taking a look at the APSP_blink_LEDs folder you will notice some new files and folder are now present: they will be used from Atmel Studio to setup the environment. 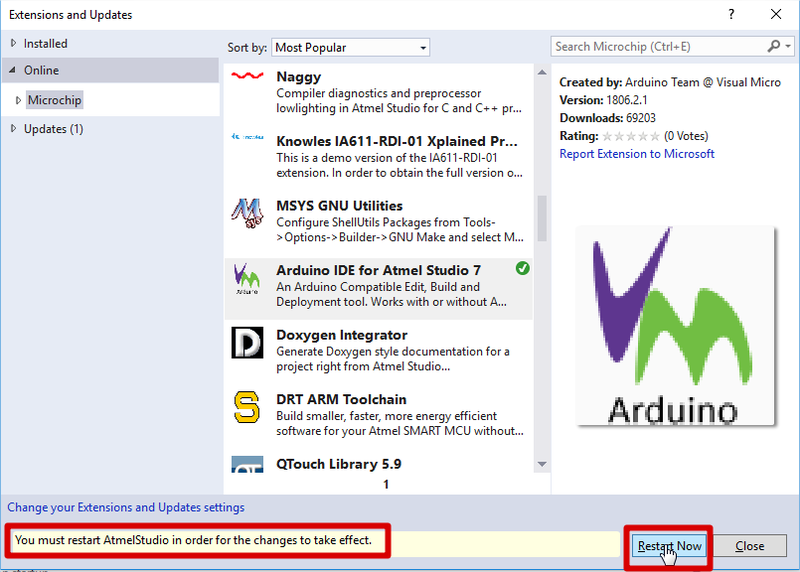 Anyway your APSP_blink_LEDs.ino file is still the same and can be used with the “standard” Arduino IDE. 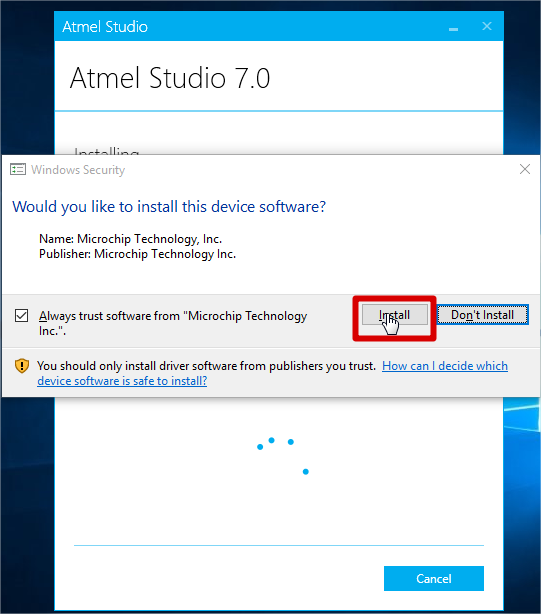 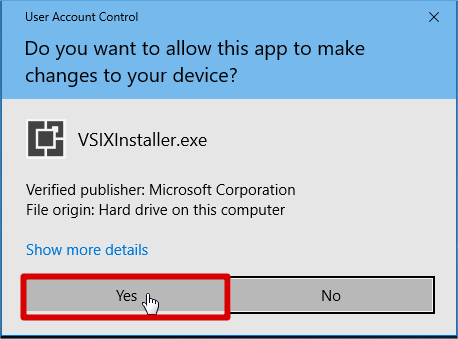 On your first compile, a window asking you to buy Visual Micro will probably pop-up, by clicking the Cancel button you will skip the process and keep evaluating the Visual Micro software. 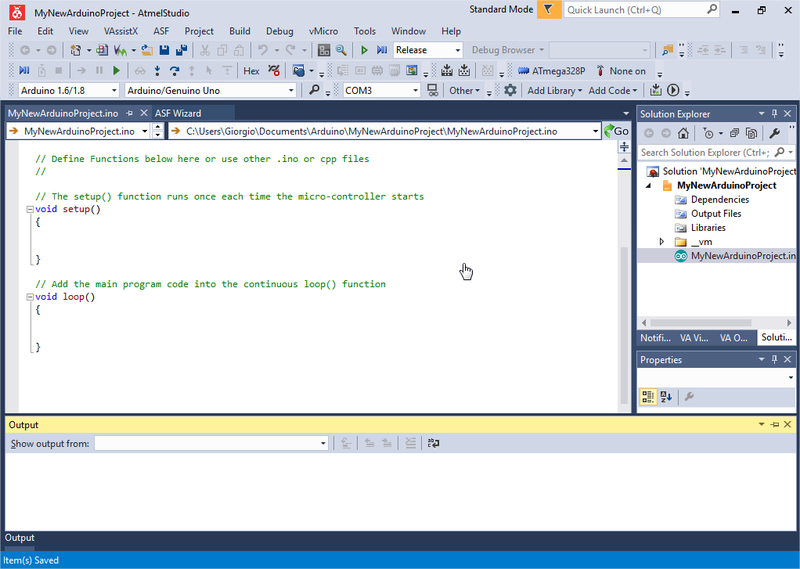 The Output window will show the compile results and then it will upload the code to your board!